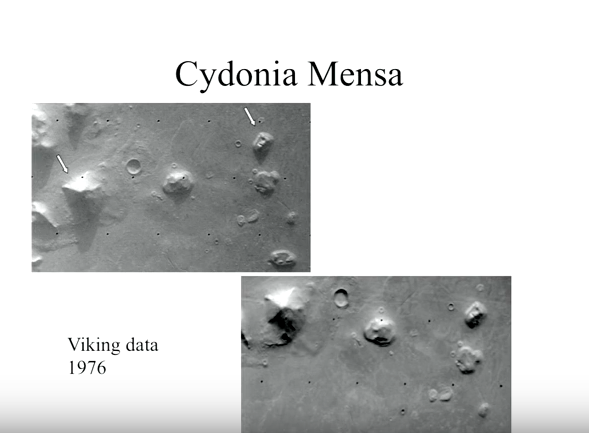 In 1976, the United States sent a pair of space probes, known as Viking 1 and Viking 2, to Mars. Viking 1 was launched on August 20th, 1975, and Viking 2 was launched in September of the same year. Both probes photographed the surface of Mars from orbit, and one studied the planet from the surface. 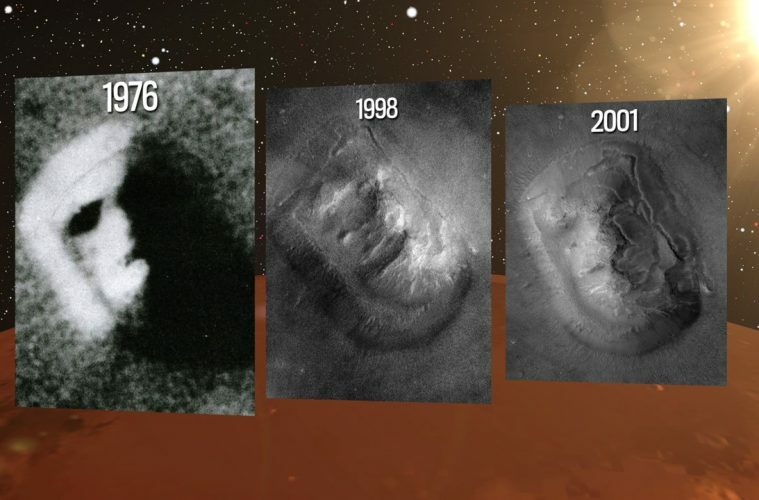 The first one touched down on the surface of Mars on July 20th, 1976 and the second a couple of months later. The main objectives of the mission were to obtain high-resolution images of Mars, to look for any evidence of life, and to learn more about the structure and composition of the atmosphere. Above, you’ll see the original picture taken by Viking which, as you can imagine, created quite the buzz when the world got to see it. Above you can see a closeup of the face, as well as a pyramid in close proximity, taken by Viking.